You will be picked up from your accommodation in Te Anau and driven along the famous Milford Road, before arriving at the Milford Sound Visitors Terminal. The walk then begins with a short boat ride to Sandfly Point. 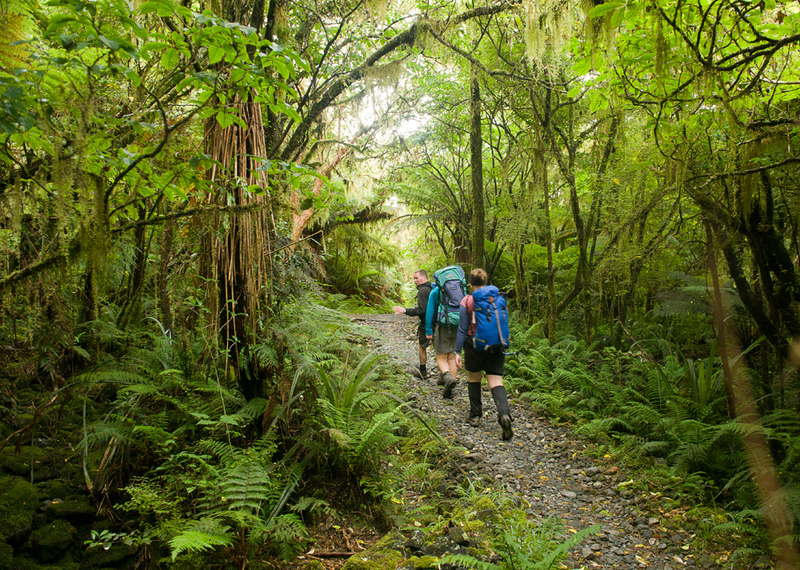 An easy 5.5 km (11 km return) walk alongside the cascading Arthur River and moody Lake Ada, on a well maintained track through ancient temperate rainforest surrounded by an array of ferns, mosses and lichens in vibrant shades of green leads to Giant Gate Waterfall. An expansive swing bridge provides perfect photo opportunities. Return at a leisurely pace taking the time to enjoy this incredible forest. Walkers then re-join the boat for the transfer back to Milford and then enjoy an afternoon scenic cruise around Milford Sound. You will be transported back to Te Anau following the cruise, arriving back at around 6pm.